This was my first trip to Mexico and for a someone that grew up in the southernmost part of the Southern Hemisphere, it was a long time coming. Especially as I had now relocated to the icy North and settled in Toronto, February seemed like a really good time to visit. Thankfully getting there is very easy. The direct flight from Pearson into Puerto Vallarta airport combined with a quick transfer to the Real del Mar resort, meant that I was on chaise lounge, armed with a cocktail by 3PM. Our hosts, Exclusive Resorts, a members-only vacation club that provides access to some of the world’s most sought after vacation property, had taken out all the stops to make sure we arrived on time and in style. 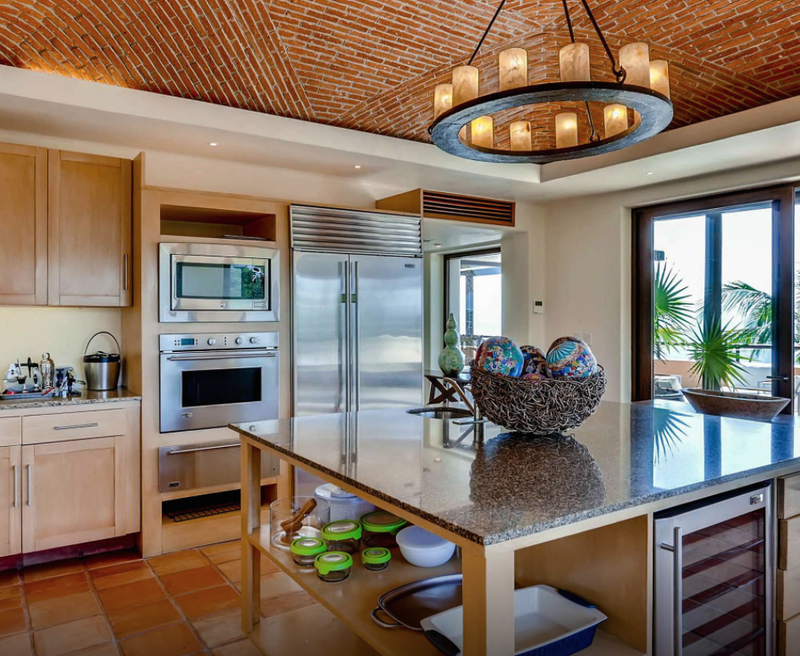 In Real del Mar, they operate a range of tastefully built, private villas, each with four or five bedrooms, a large reception area, a full kitchen and a lavish infinity pool overlooking the inimitable Bahia de Banderas. The villas are perfectly designed for families and groups travelling together. Beyond the villas, Real del Mar offers a range of amenities that include tennis, yoga, in-residence massages and spa treatments and of course access to a wide range of watersport based activities. Our first day took us to the quaint surf village, Sayulita. Just 30 minutes north of Real del Mar, the positive vibe of this quirky little town, is palpable from the moment you emerge into the busy main street. Restaurants, peddlers, street vendors and an impressive retail selection, are all clustered together under the trademark colourful banting, strung between coconut trees. We wasted no time and stopped at the Sayulita Café on Revolution Avenue, for their famous grilled fish tacos, washed down with an ice-cold, Pacifico. The availability of fresh seafood, as you might imagine is plentiful. It’s not uncommon to have five to six different types of fish and a host of other crustaceans on the menu. All at exceptionally reasonable prices. Post gastronomic satisfaction, we wandered down to the beach to book our surf lesson. Sayulita beach has several businesses offering surf lessons, each that seem well equipped and properly run. Our choice, Lunazul Surf School, was no different. The lessons cost about $50 USD for two hours and include your board and a rash vest. Fortunately, the beach has formed in such a way that the surf is quite tame on the eastern side, but the swell gets bigger on the western side. Depending on your skill level, you have your pick of the surf. Naturally well stayed on the eastern section, though! The surf coaches were patient and very professional, I think you would have to be, considering our skill level. Our lesson ended as the sun was going down, after drying off at Lunazul HQ, we headed up to the main street to catch cab back to the resort. Day two offered a smorgasbord of activities. Feeling somewhat energetic, we headed to the resort beach and joined a sunrise yoga session. The discomfort I found with contorting my body into seemingly unnatural positions was instantly remedied by the sheer beauty of the sunrise over the bay. This was a genuine Sun Salutation! We took our (recovering) post yoga bodies down to the water and met with the resort manager. We were greeted by a wide selection of freshly caught (almost alive in fact) seafood that we could choose for dinner that night. After much deliberation, we opted for six lobster and large bag of shrimp, to be cooked and delivered to our villa that evening. Bliss! The balance of our day was spent by the Resort’s beautiful infinity pools, punctuated only briefly by the delivery of food and beverages by the faultless service staff. After a solid dose of vitamin D we were no longer white washed, so we headed up to the villa to devour our beautifully cooked seafood. The last full day and our hosts at Exclusive Resorts had booked us a real treat; a day trip on a catamaran! Our transfer collected us at 8 AM and took us to the La Cruz Marina, about 15 minutes drive from the resort. We were welcomed by the jovial crew and given breakfast as we boarded the beautiful motorized catamaran. The company, Ally Cat Sailing Adventures, made sure we were kept in supreme comfort throughout the day. The fully serviced experience includes all food and drinks, non-motorized water sports and transfers to the Isla Marietas National Park, an island off the coast of Real del Mar. The trip was further improved by the regular spotting of whales on the way to the islands. Mid-December through March is whale season and sightings are very common. We must have spotted more than five different humpback whales during the day’s excursion. We ate, we drank, we tanned, we SUP’d, we snorkelled and then on the way back, we danced to pop music on the main deck all the way back to the marina. It was a truly action packed day and one that will be remembered for years to come. Our last night was spent at the Resort’s restaurant, sharing highlights from our trip while feasting on dishes from the extensive menu. We all agreed that the combination of the fun activities, great food, superior service and extensive resort amenities made a trip to Real del Mar, with Exclusive Resorts, unforgettable.